Most of the new network-capable Hewlett-Packard home and small-business printers are now offering ePrint, which is an email-driven cloud-based driverless printing service ran by HP. This service has increased the appeal of running a printer as a courtesy printer service for business partners, clients, guests or patrons. This is due to there being no need to require the right driver to be on the computer for one to print out a document. 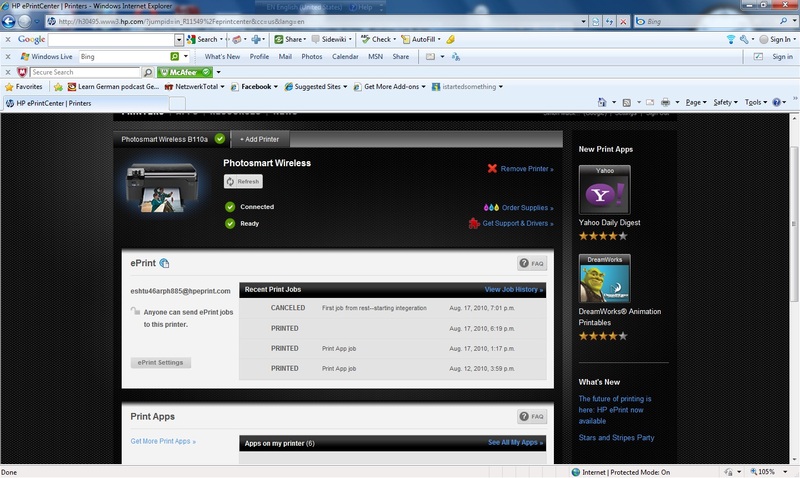 The ePrint servie is a cloud-based printing setup operated by Hewlett-Packard that allows one to send a print job by email to one of many recently-released HP printers via email. 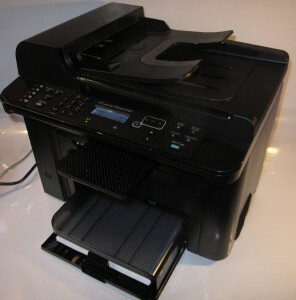 I have infact reviewed some of these printers on HomeNetworking01.info, such as the Photosmart B110a, Envy 100, OfficeJet Pro 8500a Plus, Colour LaserJet CM1415fnw and LaserJet M1536dnf. As well, I have covered HP ePrint in another article to do with a product launch that had occurred last year in Singapore. Here, you just send an email to the printer with the file that you want hard copy of as an attachment. The file can be one of the common file formats like PDF, text, HTML, JPEG or a Microsoft Office file. If you want hard copy of an email, you can forward the email to the ePrint address or add the ePrint address as a BCC address in the email you are sending. You could even send an MMS message from your mobile phone to your HP ePrint printer by using the ePrint address as the destination address for that message. 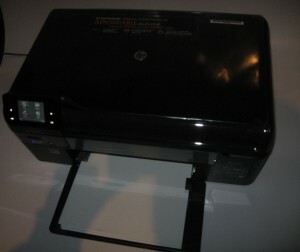 The requirement is that the HP printer has to have access to an Internet connection. 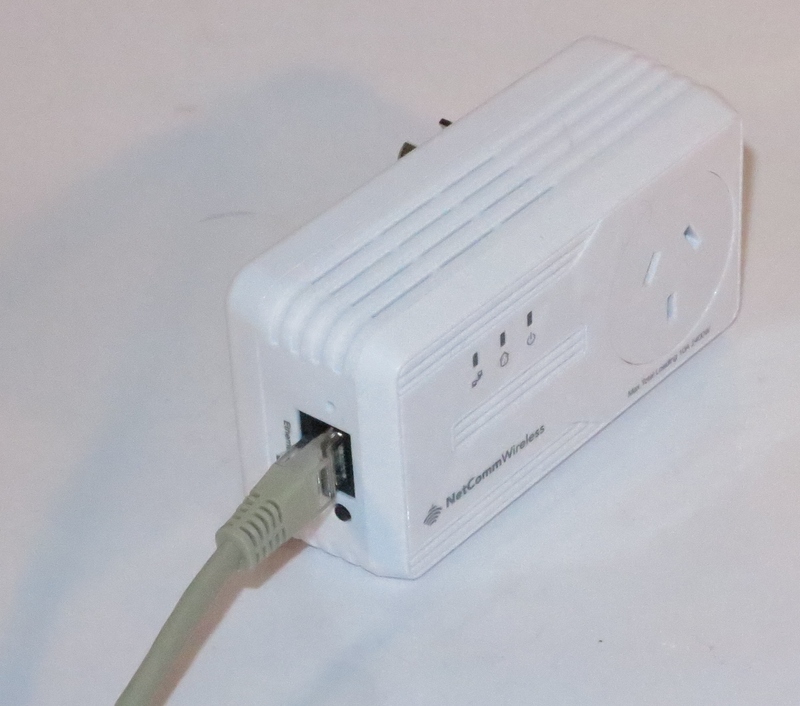 Since these printers have an Ethernet and / or Wi-Fi wireless connection to a local network, the printer needs to be on a network served by a network-Internet “edge” device such as a router. The client devices can be connected to the Internet via any network. 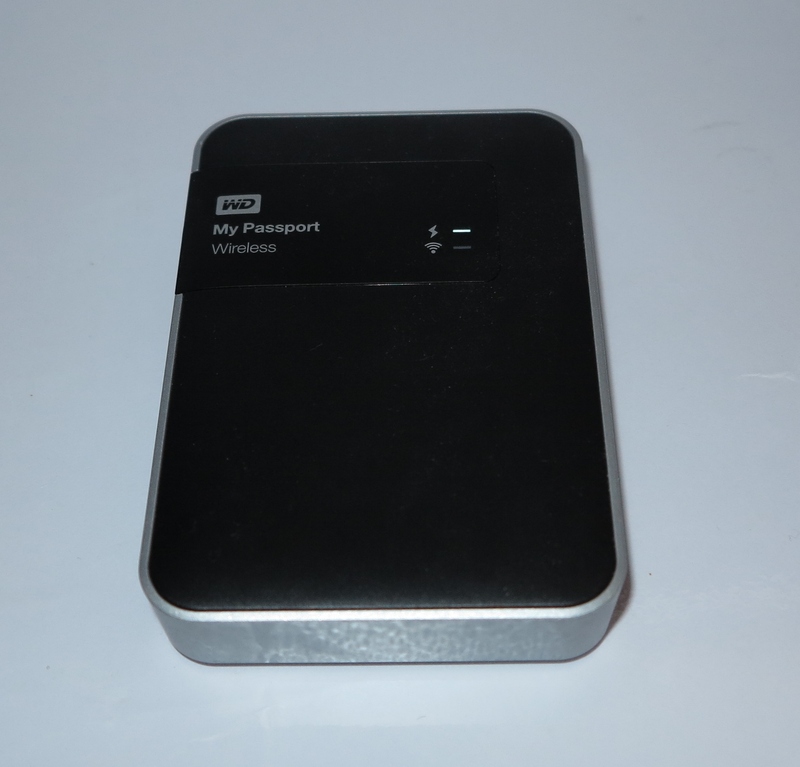 This can range from a smartphone or tablet connected directly to a wireless-broadband service to a computer connected to a Wi-Fi hotspot or a computer connected to the same local network as the printer. 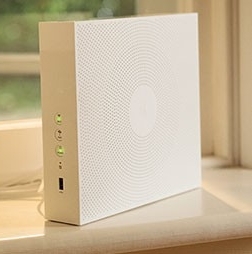 This can allow for deployment scenarios like a printer connected to a private network yet serving a Wi-Fi hotspot or a printer connected to a cafe’s network but allowing hard-copy for people who use iPads that are connected to the wireless carriers. A typical public-use setup is represented by the example that I have outlined below. 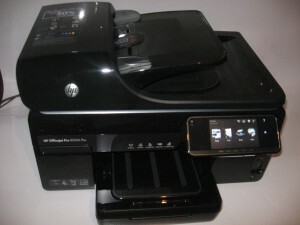 This example of an ePrint-enabled HP printer working as a public printer was the HP Envy 100 installed at Stay On Beverly which is a backpackers’ hostel in Los Angeles. How I learnt of this was through a comment posted on this site by Bo Lorentzen who is the hostel’s owner in response to a review of this printer that I had done, just after I published that review. He had set this up as a no-fuss way of allowing the travellers that stay at this hostel to print out documents like airline tickets and boarding passes that they receive via email as part of purchasing air travel through the Internet. I had further conversation with Bo and he had told me that he had put a notice with the ePrint address on the top of the printer so guests know where to print to. You can let your customers’ know of your printer’s ePrint address through a handout that your staff give to the customers as and when they want to use the public printing service. This would be more effective where only the staff members have access to the printer. 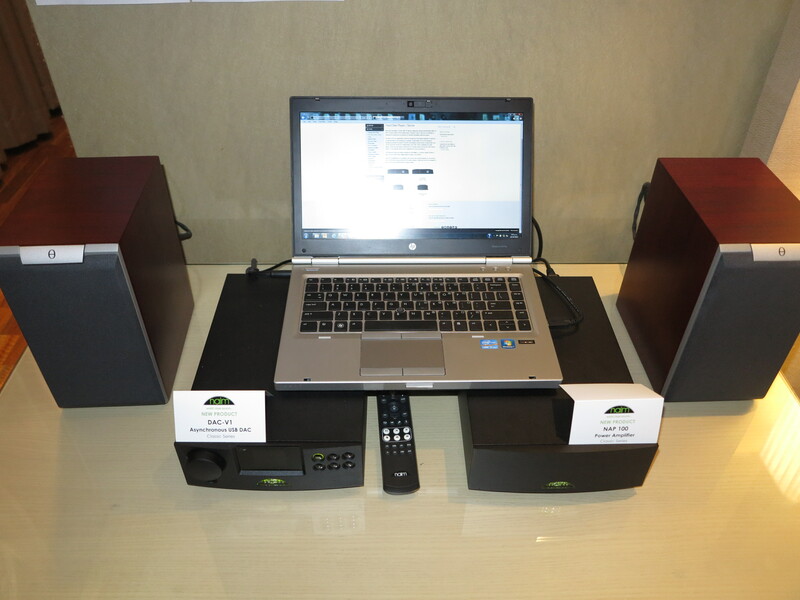 A self-service setup like the above-mentioned HP Envy 100 at “Stay On Beverly” will require the printer to be in an area accessible to patrons or guests rather than the general public and the address would be fixed to a label on the machine. On the other hand, there could be instructions on how to print out the ePrint Info Sheet displayed near the printer. 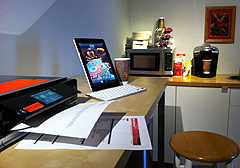 As well, in some areas, a public “free-to-use” environment can allow for abuse of the printer facilities. This could range from people using the printer to print material that can offend to “barrelling out” a very large document that uses up all of the machine’s resources. If you do end up with your printer spewing out jobs that shouldn’t be printed, you may have to reset the ePrint address. You will have to remove your printer’s ePrint address from your ePrintCenter account. 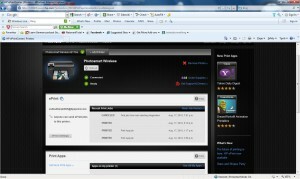 This is don by bringing the printer up on the ePrintCenter dashboard and clicking on “Remove Printer”. Then you use the printer’s control panel or Web interface (accessible at the printer’s IP address) to remove Web services. After that you then use this same interface to enable Web services. 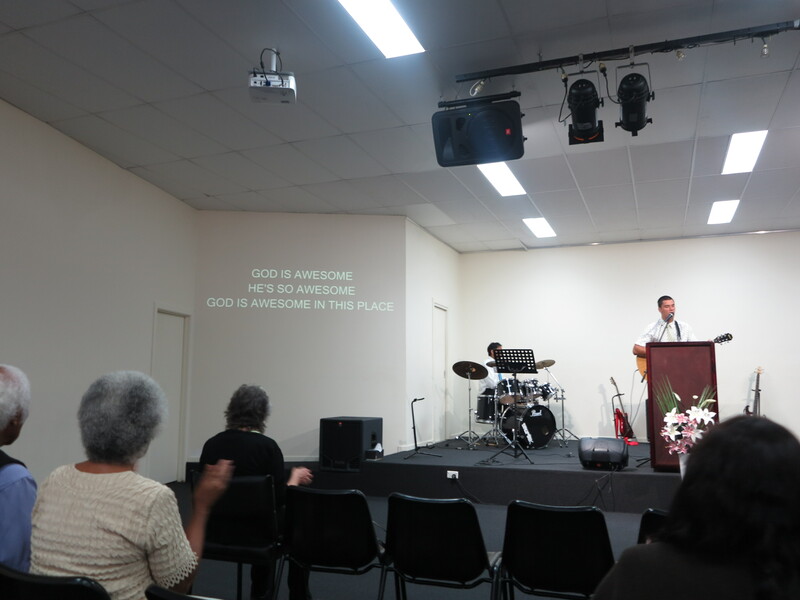 Here, you print out a new info sheet with the new ePrint address. 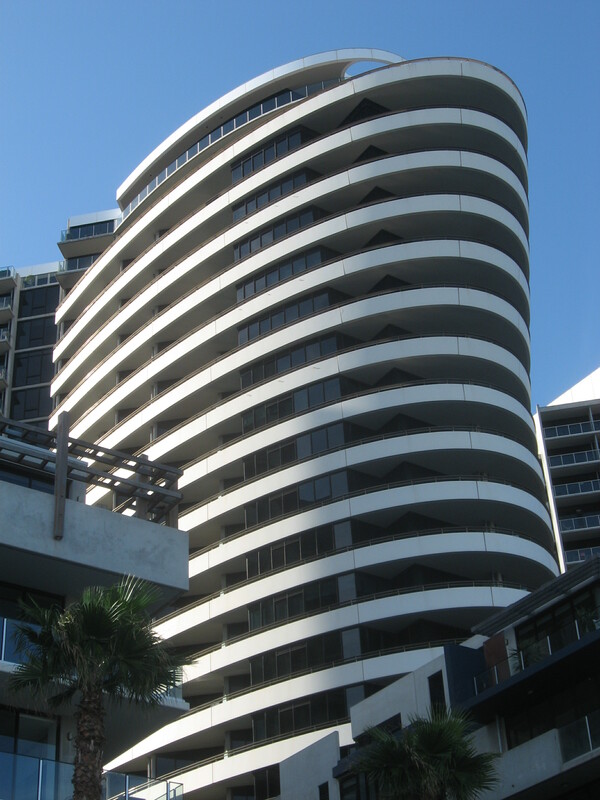 After that, you enrol the new ePrint address with your ePrintCenter account and are ready to go. 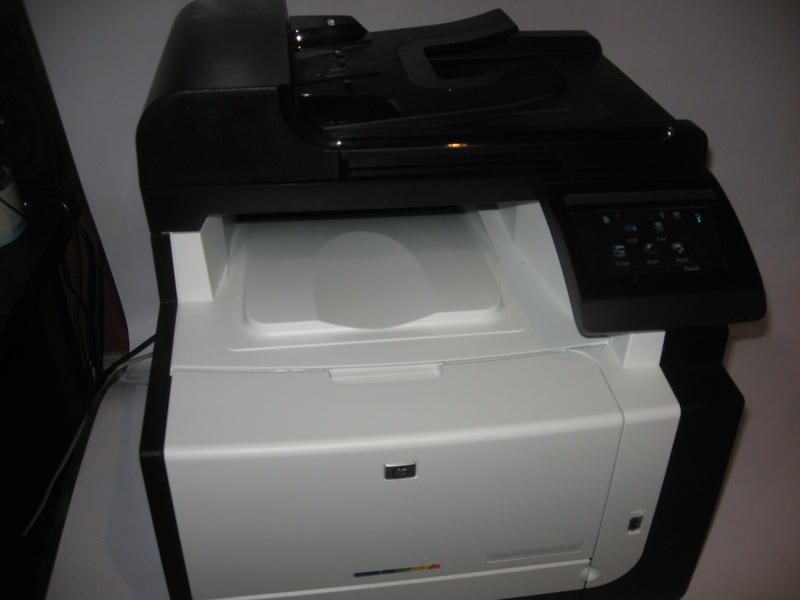 If you do run ePrint Apps, you will have to reconfigure the mix of apps you have on your printer. You may have to suspend your printer’s ePrint operation so it doesn’t print out ePrint jobs. 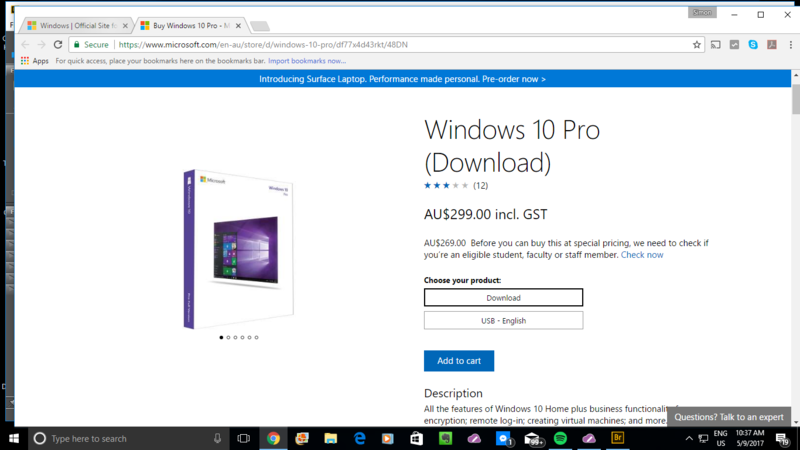 Here, this could be done as part of closing up your premises at the end of trading to stop people who aren’t at your premises using your machine for example. This can be done at your printer’s control panel by selecting the “ePrint on / off” option or at the printer’s Web page which will have a similar option. You may want to control ePrint access to your public HP printer so that only your guests or patrons are using the printer. Here, you use the HP ePrintCenter to manage a “white-list” of people who can send jobs via email to the printer. The limit you can have for this list is 50 users. This method may benefit a hotel, B&B or similar lodging place where you can ask for your guests’ email addresses as part of the booking or check-in process. Then you use the HP ePrintCenter to enable printing for that guest when they check in; then use this same interface to disable printing for the same guest on the day they check out. Similarly, a small cafe or bar who knows their customers can benefit from this setup by allowing unrestricted access to the printer for trusted and known customers. One feature that I would like to see for HP ePrint if it is to work in the public printer concept is the ability for print jobs to be manually released. This could be through the use of a client job number that is emailed back to the client device once they send out the job and/or an operator password that is keyed in before the job is printed. This above scenario can work well for those businesses that want to charge by the page for printing if the job queue list shows the number of pages. A machine like the HP Colour LaserJet CM1415fnw or OfficeJet Pro 8500a Plus, which has a large LCD screen could benefit from a “job preview” function so that the operator can vet jobs before they are printed. As well, there could be an option for an origin class to be blocked. Here, this could, for example, prevent MMS messages, which is a common path for “sexting” and mobile-phone bullying, that are just sent to the printer from being printed out. Of course, when an MMS message is printed out by an HP ePrint printer, it should be passed through as a formatted text page rather than two pages with one that has regular text and one that has formatted text. At the moment, the HP ePrint technology can be a basic way of providing public driver-free print service to a trusted user base that is highly mobile but there needs to be a lot more done to it in order to yield a highly-controllable service. Indeed. 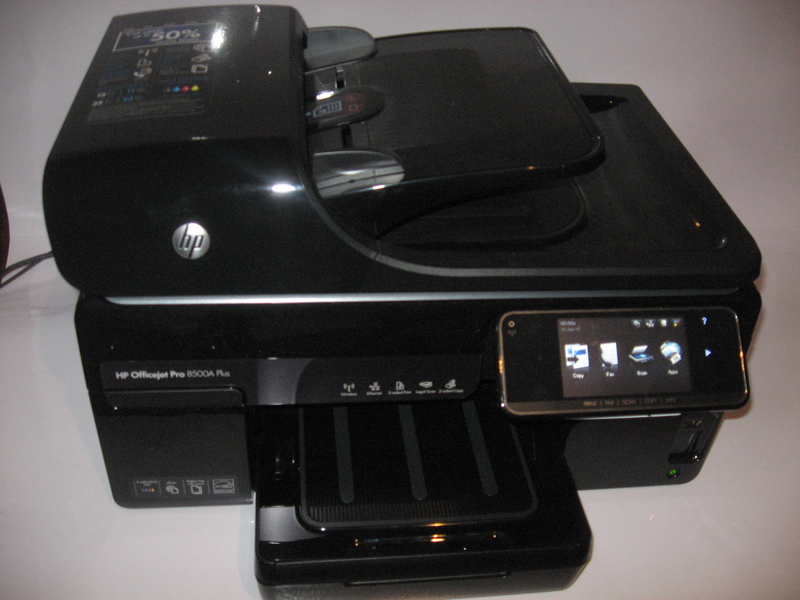 HPePrint seems to work great for mobile picture sending to a printer. But as the new all-in-one answer to printing from HP, it is an utter failure for local plotting of construction drawings on wide format printers (aka plotters). There are no standard print job settings. The utility does not even remember that it has only one source of paper: a 36 inch wide roll. How lame. And there is no other 64 bit printer driver solution offered by HP. For customers who buy $10,000 plotters, I would at least enjoy getting kissed, as the saying goes.